I don't know about you, but I can become a little crazy and just "slightly" emotional when my baby maker tries to kill me. I was using Dragon Time which is AMAZING! 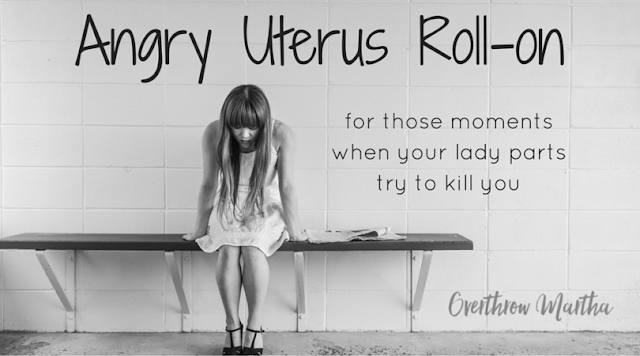 I would start to use it a few days before my period and zero to teeny tiny PMS symptoms. It's so great! However, I can't find it. It's packed away in a box somewhere in this huge new house we just moved to. WAAAHHH!! My PMS-ing mind got desperate and I asked myself, "What does my angry baby box need?" Of course it needs JOY! I mixed up Joy essential oil with some Clary Sage and put it over my lower belly and guess what happened? 90% reduction in murderous urges and stabby uterus. Everybody needs some of that! 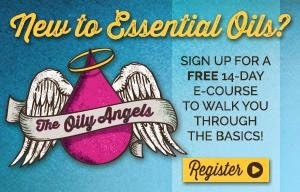 All you need is an empty 5 ml essential oil bottle (like the ones that come in your Premium Starter Kit). 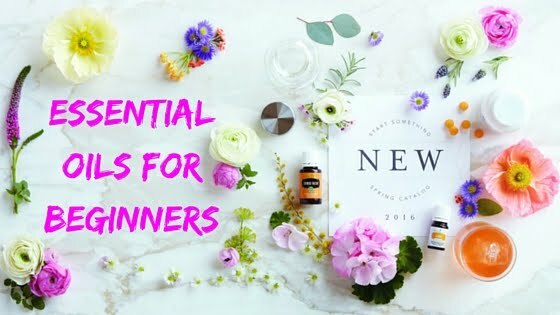 You also need a roller fitment which comes in the kit or you can buy a bag of them if you're already a member (if you aren't a member-- then I'd be honored if you joined my essential oil family! 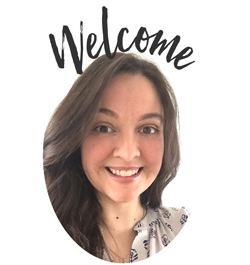 Find out more here). The roller fitments can be a little tricky to get onto the bottle so watch this video to see how to do it. 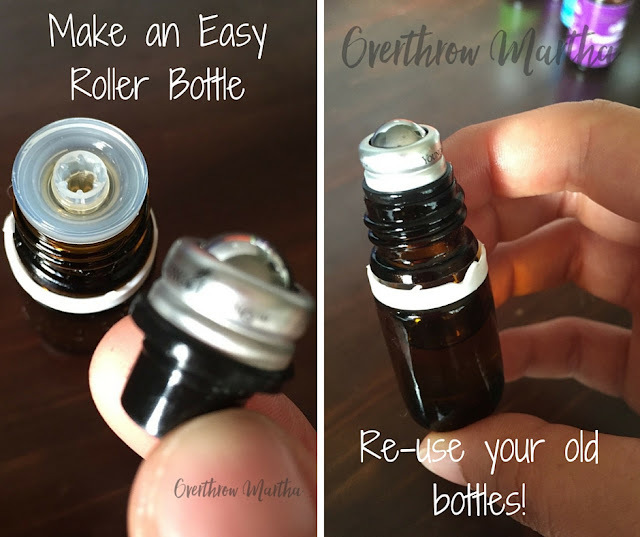 If you're re-using an old bottle be sure to clean your essential oil bottles first (find out how here). If you have an empty Joy or Clary Sage-- then feel free to use that without a deep cleaning if you want because.. well, I'm lazy and I think that's just fine. After the bottle is clean and dry-- add the essential oils. 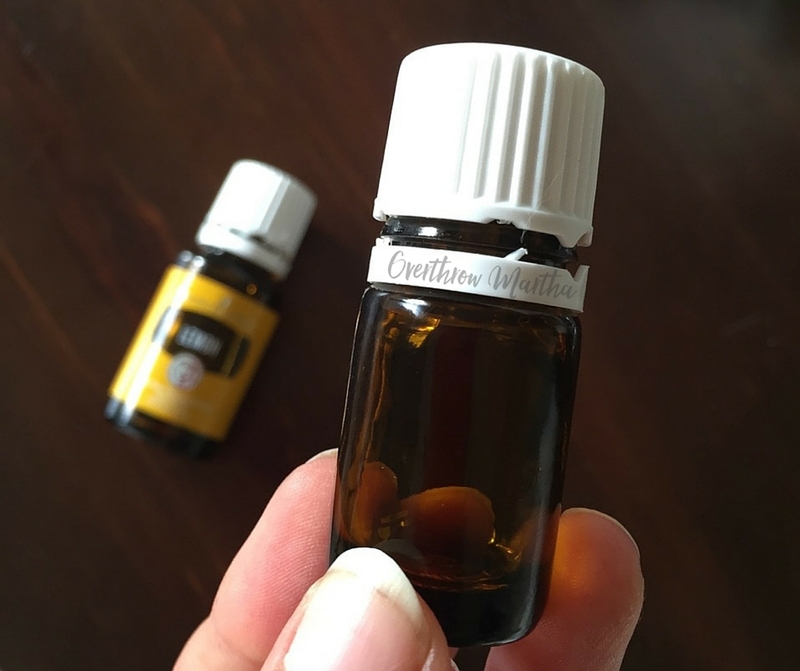 Once that's done, grab that carrier oil and almost fill up the bottle, but be sure to leave a little room just below the base of the neck. This will give you enough space to add the roller fitment cap or roller ball without spilling any of the precious life saving solution. **If you do spill it, then just slap your hands into that mess and rub it all over your body. DO NOT WASTE IT especially not now. Apply it to your lower abdomen and/or back as needed to help keep your PMS-ing to a minimum! **If you are in a dress or pantsuit where you cannot reach your stomach or back, then try your ankles. I KNOW! It's so crazy and unbelievable, but so is Game of Thrones and you like that, don't you?! 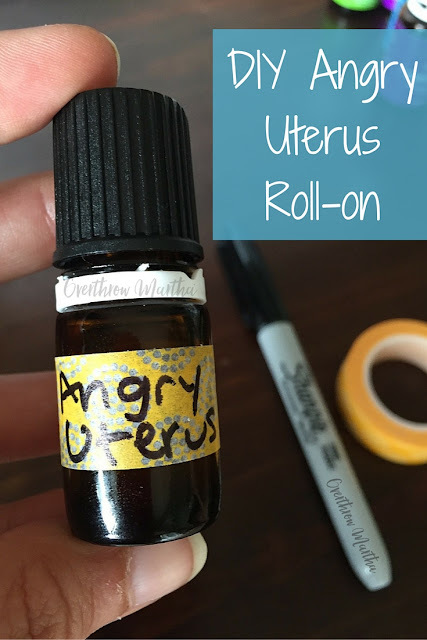 I like to keep one bottle of Angry Uterus in my purse (for emergencies) and one bottle in my night stand for easy application because when the baby box starts to get stabby in the middle of the night. Are there Alternatives That I Can Use?? I always get asked "What can I use if you don't have X?". The truth is-- there isn't a substitute for THIS recipe or any recipe that I make. Each change to a recipe will impact how it works with you and your body, but that isn't always a bad thing. It may mean a change would work better for you! 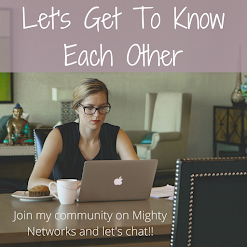 After all-- none of us are exactly the same so go ahead and try it! Worried? Trust me if you alter a recipe from the original-- nothing will explode, no combination will maim you and you won't cause imminent doom to the world which will require Ben Affleck to come save it. Have fun! The worst situation will be that it doesn't work soooo... just try something else!